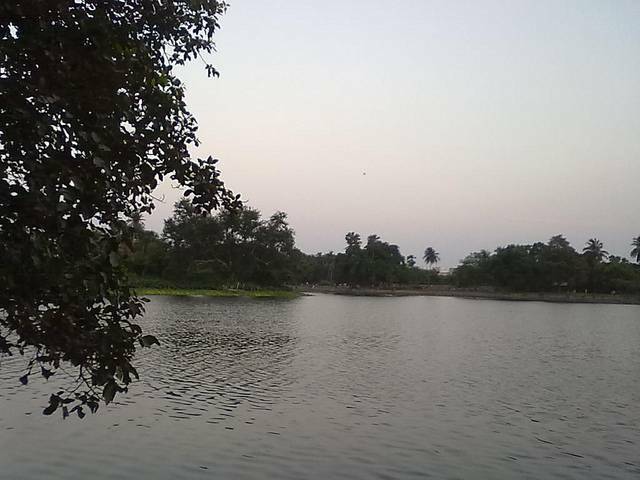 Rabindra Sarobar or Dhakuria Lake is located close to the Rabindra Sarobar metro station in Kolkata. It is a hugely popular recreation destination for Kolkata residents. The lake offers boating facilities and also attracts migratory birds during winter. A lot of people come for morning walks near the lake and also enjoy the view at the sunrise point located here. Rabindra Sarobar football stadium and an open air theatre called Mukta Mancha is to the north of the lake. To the south of the lake is Kolkata's only Japanese Buddhist temple. One of the lake's islands also has a mosque built on it. There are several rowing and swimming clubs established within the lake complex.